“The best way to have a role in society is to understand how people are talking about things in real time.” This quote from Jean Philipe Maheu, sums up the importance of social media and its role in the lives of people today. For those who may not be educated on what social media is, here’s an article that explains it (link). It’s difficult to imagine life without social media. What would a world without status updates, tweets, photos uploaded to Instagram or videos uploaded to YouTube be like? Without thinking of an eloquent philosophical answer, I would say that life without social media would be boring and incomplete. Browsing social media sites such as Facebook, Twitter, Instagram, YouTube, Pinterest and LinkedIn, has become an integral part of our daily routine. Browsing social media sites is the first thing that I do when I wake up is and the last thing that I do before I go to sleep. There is not a day that passes that I don’t check my Facebook, Twitter or Instagram. Social media is my tool to communicate with people that I don’t see on a daily basis or people who I have never met. 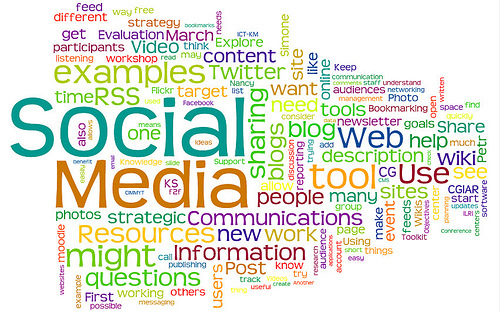 Social media is a communication tool for me, and now businesses and organizations are using it to communicate. Instead of using social media to see what song their friend listened to this morning or what show they watched, organizations are now using social media for promotional purposes. This is exactly what the Baton Rouge Area Chamber is doing with its use of SCVNGR. SCVNGR is not your “normal” social media site. It doesn’t allow you just sit in front of your computer or scroll through your phone. 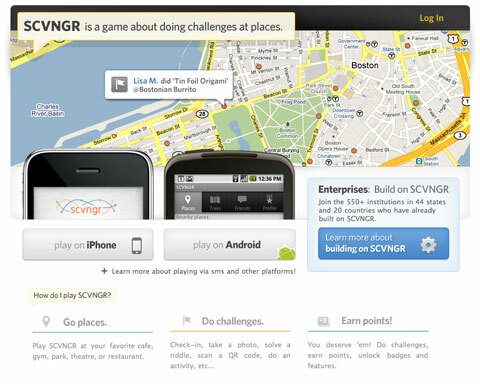 SCVNGR is a geolocation-based mobile gaming application that allows users to earn points and rewards for completing challenges or checking in at various locations. It compels its users to be active by giving incentives for completing treks. To find out more about SCVNGR click the following link. My classmates and I are responsible for creating treks that promote life in and around the Baton Rouge metropolitan area. The purpose of the treks is to retain residents of the Baton Rouge metropolitan area, and to attract residents of other cities and states to Baton Rouge. The treks that my class are working on include Nightlife, Arts and Culture, Discover BR and Get out of Town. As I stated in my previous post, my group is responsible for the Nightlife trek. We are focusing on spotlighting nightlife attractions in the Baton Rouge metropolitan area through the use of SCVNGR. We want to expose people in the Baton Rouge community and surrounding communities to nightlife activities that they are not familiar with. The use of SCVNGR will compel them to experience these activities instead of just reading or hearing about them. Exposure to these unfamiliar places has undoubtedly been made easier by the use of social media and the evolution of technology. Without SCVNGR, we would simply be informing people about these activities with the hope of them taking the opportunity to experience them. Now we expect that they will experience them through the use of SCVNGR. Feel free to follow me on Twitter at @_ramon_h to receive updates on BRAC and Spotlight BR’s use of SCVNGR.